This gecko can be found in trees and rock crevices in open forest, as well as in houses. It is nocturnal, often seen on walls in houses and buildings and has a soft chattering call. The cylindrical tail has the base flattened. 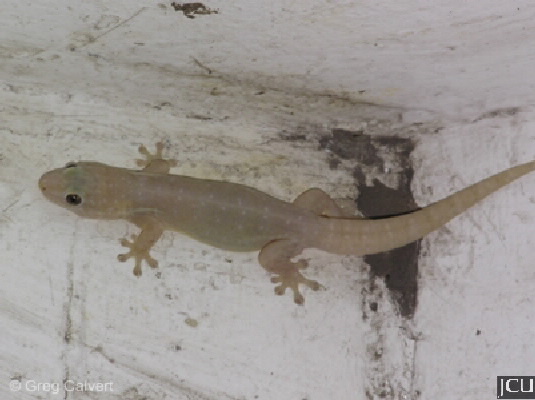 Unfortunately it seems to be being displaced by the introduced Asian house gecko.